This fantastic apartment is located in the Barcelona neighborhood of Eixample. You will find lots of great bars and cafés nearby, as well as some top-notch restaurants. The breathtaking Sagrada Familia church is located just three blocks away on foot, and you can easily reach other parts of the city, thanks to a metro station located just outside the building. 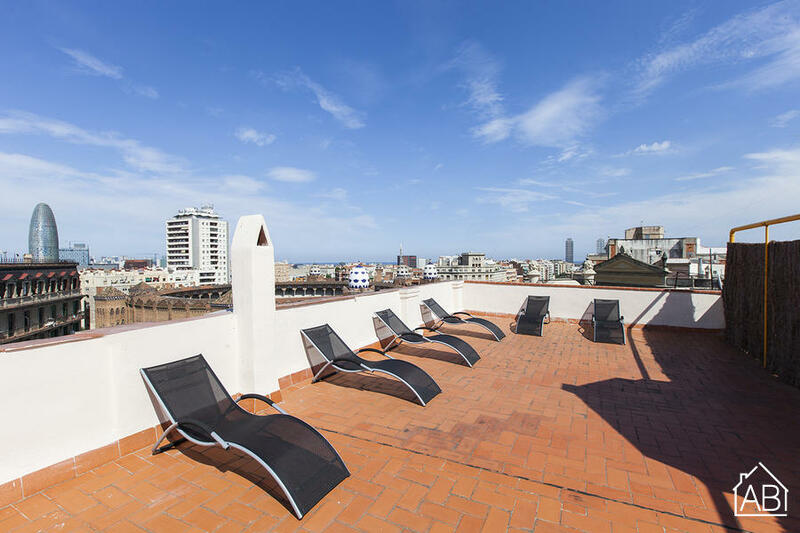 What´s more, the apartment is situated near the Glòries shopping center, and the famous Passeig de Gràcia shopping street is just 10 minutes away on foot. The apartment has a modern décor, with stylish fittings and furniture. There are six single beds, allowing a total of six people to sleep comfortably in the apartment. A fully kitchen provides all the equipment and utensils you need to create your own home-cooked meals. The living room has a TV and a large sofa, perfect for unwinding after a day full of sightseeing. An Internet connectionair conditioning, and a washing machine for your convenience. What´s more, the apartment has two bathrooms, allowing you extra space and privacy. With a perfect location, a metro station within walking distance and great facilities, this apartment is the ideal base for your stay in Barcelona.